Have you ever felt sorry for yourself? Have you ever thought that other kids had more opportunities than you? Ben Carson doesn’t believe in feeling sorry for yourself or making excuses. He knows all about having less than other people too. Ben Carson was born in Detroit in 1951. His mother raised him and his older brother by herself. She was very poor and could not read. She worked as a housekeeper or a cook. She worked a lot. Sometimes the boys didn’t see her for days at a time. Even though she couldn’t read, she made sure her boys learned to read and work hard in school. She told them not to make excuses and to use their brains. All about Dr. Carson, a pediatric neurosurgeon. That means he operates on children’s brains. He has saved many children who had severe brain injuries. School was hard for Ben. The other kids often made fun of him. He had old clothes. He needed glasses. Sometimes he felt angry. But he decided to stop being angry and change things for himself. He got better grades. He went to college. Then he went to medical school. Ben Carson doing an operation with his team. Dr. Carson is a pediatric neurosurgeon. That means he operates on children’s brains. He has saved many children who had severe brain injuries. 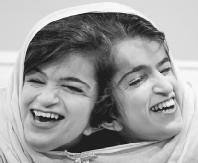 He pioneered a life-saving operation to separate Siamese twins joined at the brain. Ben’s mom was very strict. Ben had to read two books and write book reports each week for her even though she couldn’t read the reports. At first, Ben didn’t like this. Then he learned to love reading. He read encyclopedias. He read everything he could find. Ben had a violent temper. Sometimes he hurt kids if they teased him. He asked God to help him with his temper. He learned to control himself. He began to change. A video biography of Dr. Ben Carson. Question: Has Dr. Carson done other things besides medicine? Answer: Dr. Carson and his wife started a foundation to help poor children gain an education. Dr. Carson has written several books. He travels and speaks frequently. Enjoyed the Easy Science for Kids Website all about Ben Carson info? 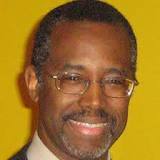 Take the FREE & fun all about Ben Carson quiz and download FREE Ben Carson worksheet for kids. For lengthy info click here. We love this kids science site! Thank you! Declan, Tobin. " Ben Carson Facts for Kids ." Easy Science for Kids, Apr 2019. Web. 20 Apr 2019. < https://easyscienceforkids.com/all-about-ben-carson/ >.